Darjeeling is situated at the foothills of the great Himalayas and is among the most splendorous hill stations in the whole world. Famous for being the summer residence of West Bengal since the British Raj, Darjeeling has also managed to gain popularity for being a admirable honeymoon destination. The amiable weather and breathtaking surrounding view of Darjeeling allures tourists in a huge number throughout the year. Even the Darjeeling Tea is called the Champagne of Teas for it authentic delicious taste and flavor. So, book a hotel in Darjeeling and fulfill your carvings of visiting the “Queen of Hills” with your life partner or friends and family. While you ride on the Darjeeling-Rangit Valley Ropeway, you literally travel through the clouds. Yes, it is the largest ropeway in Asia which offers a breathtaking view of the unending tea gardens. Thousand fellow countrymen followed Dalai Lama’s took off from Tibet in the year 1959 and all of them settled in Darjeeling. Tibetan Self Help Refugee Center is now the home to many Tibetan families who create traditional souvenirs to earn for their living. The word Darjeeling is made up of two different words from Tibetan origin, “Dorje” and “Ling”. According to the Hindu mythology, the former stands for thunderbolt which is the staff of God Indra, whereas the second one means spot or area. Hence, Darjeeling means, “the land where there is thunderbolt”. You may have enjoyed a ride on the Toy Train but do you know why the train is called “Toy Train”? It is because Darjeeling Himalayan Railway has two-foot narrow gauge track. UNESCO has declared the Toy Train as a world heritage because of the beauty of the each scenery you get to explore when you hop into this comparatively slow moving train. Did you perchance know Happy Valley Tea Estate is the second oldest tea estate in Darjeeling? The unending lush tea gardens in Darjeeling appear to be no less than heaven. Happy Valley Tea Estate which was established in the year 1854 is among the most beautiful tea gardens in Darjeeling. A cup of hot Darjeeling tea in our hand in a chilled morning is probably one of the best situations that can happen on earth. The sun rays lighting up the peaks of Kanchenjunga is best seen from Darjeeling. Tiger Hill is among those places where people come to witness the overwhelming view of the sunrise. Those who were ambitious enough to climb Mount Everest have been showcased here in the museum in photos. The earliest types of equipment used to scale the highest peak are preserved here. Actor Benedict Cumberbatch is famous for his acting skills that he showed in his on-screen portrayal of Sherlock Homes, taught English in a Tibetan Monastery in Darjeeling. 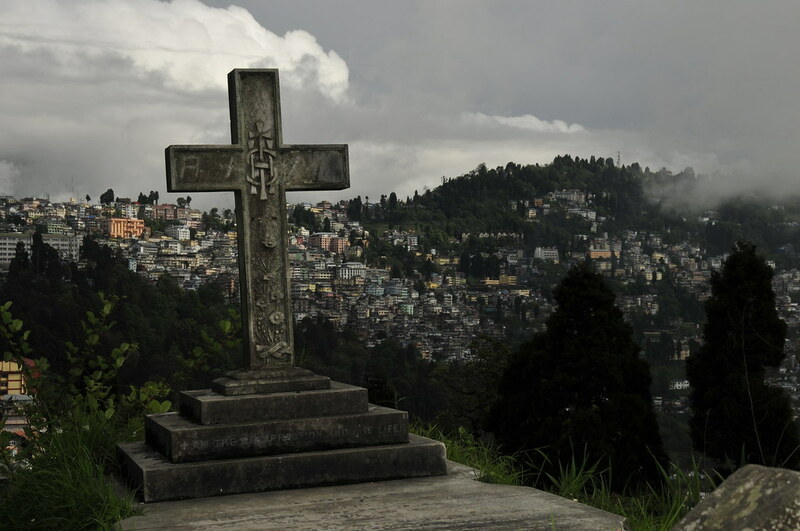 ASI declared the old cemetery of Darjeeling as a place of national importance because the grave of Captain George Alymer Lloyd who was the discoverer of Darjeeling is here. Some of the graves in this cemetery dates back to the 1840s. As Darjeeling is home to people of various communities, its markets exhibit a vast range of variety. You will get Buddhist artifacts, various traditional clothes, local handicrafts, Tibetan carpets and how can you forget to buy Himalayan Honey and Darjeeling Tea. Make a trip to Darjeeling and stay close to the heart of nature!! Higher altitudes make the better journeys so, without delaying anymore it’s time for you to set off for the journey and witness these lesser-known facts.